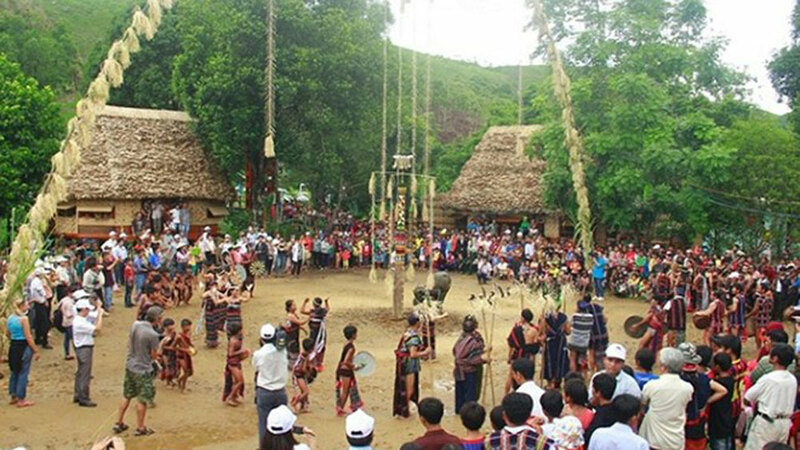 An activity at the Vietnam National Village for Ethnic Culture and Tourism. It is a traditional custom to bid farewell to the old year and welcome the new one while paying respect and gratitude for gods, favorable weather and bumper crops for the upcoming year. It is the combination of various traditional popular forms of arts including dancing and singing.